There are house imams and field imams. 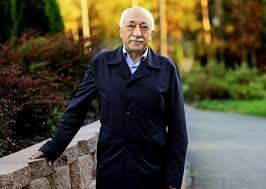 There is no doubt that the CIA-protected Turkish imam Fethullah Gulen is a house imam. "That's the Sharia man, the CIA's sharia man" says whistleblower Sibel Edmonds. When the sharia man, the house imam, was in trouble in 1999 he fled Turkey and ran to Big Daddy America for protection. He has operated his cult from his base in Pennsylvania ever since. "Erdogan, for the past three years, has justifiably been trying to clean house. Because, as we have received, this is documented fact, a certain percentage of military has been infiltrated by the CIA-Gulen network, a very large percentage of Turkish police force. And this is over a 20-25 years period. They have infiltrated. Same thing with the courts. And every time he attempted, he being Erdogan, even with facts and evidence, rounding up this people and removing them from their positions, that was used, especially by the Western media and the extension of the Gulen network, including many media organizations in Turkey that are still under the control of the Gulen movement, as bad PR. 'He [Erdogan] is being a dictator, look at this, he is removing secular thinking people from the military because he wants to bring Sharia law.' Now, the real Sharia law actor for the CIA happens to be Mullah Gulen, the man who lives in the United States and gets to be everyday more powerful. A man who is taking hundreds of US elected representatives to fancy schmancy expensive trips, a man who goes and builds madrassas around the world. That's the Sharia man, the CIA's sharia man, accusing Erdogan of being a dictator." - Sibel Edmonds [16:25 - 18:25].